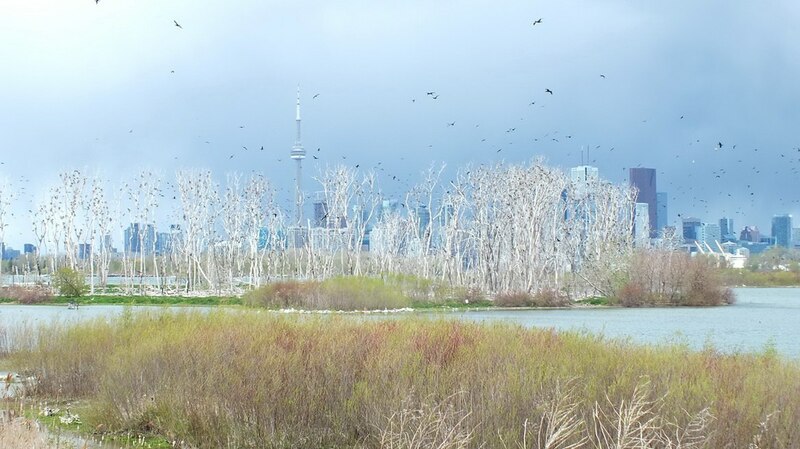 For a Mother’s Day outing one spring, my family suggested a visit to Tommy Thompson Park in Toronto. Well known for fabulous birdwatching opportunities, it sounded like the perfect place to go for my special day. Little did I know just how much success we would have at spotting birds. 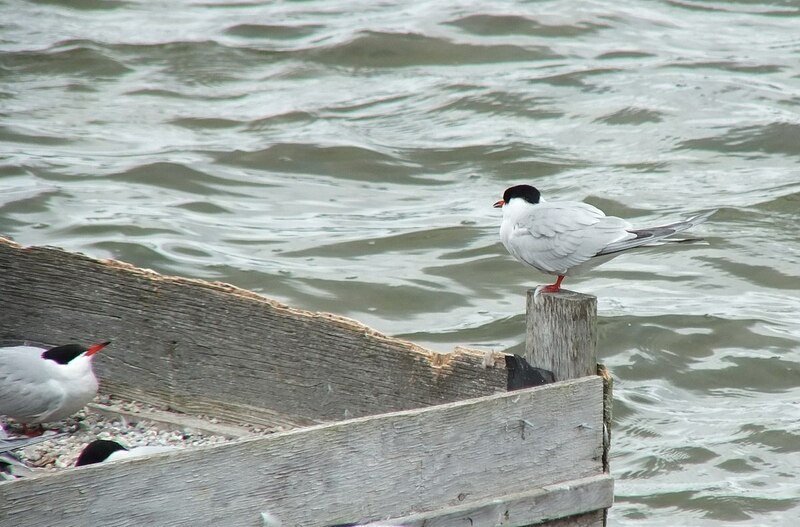 A large number of Common Terns (Sterna hirundo) caught our eye in a bay on the west side of the Leslie Street Spit. 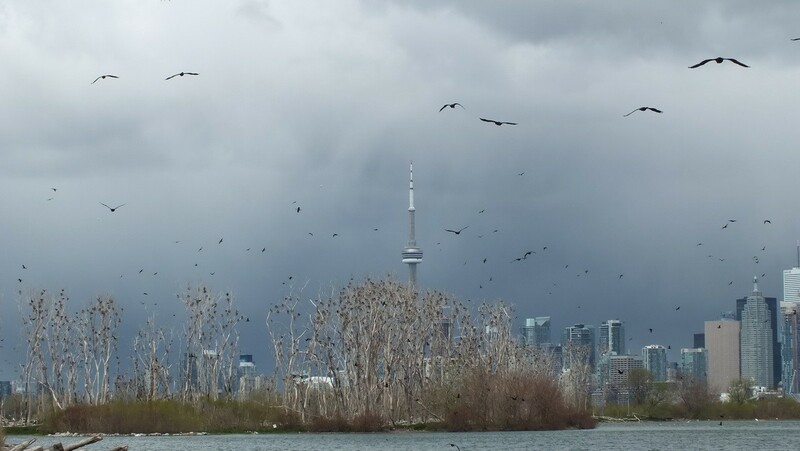 Tommy Thompson Park is a marvelous sanctuary for birds and wildlife. 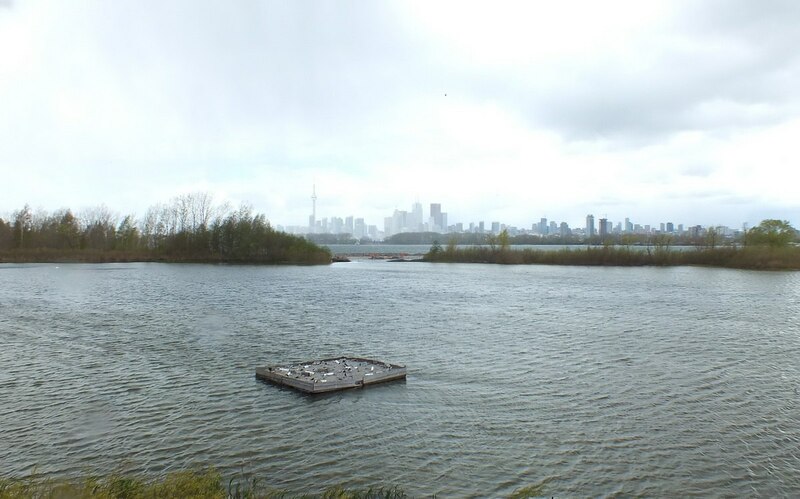 It is located on a man-made peninsula that juts out into Lake Ontario for a distance of 5 kilometres, and it is within sight of Toronto’s downtown core. The day we visited was quite unusual for a mid-May day. Storm clouds dumped rain, sleet, hail and snow on us in between periods of glorious warm sunshine. 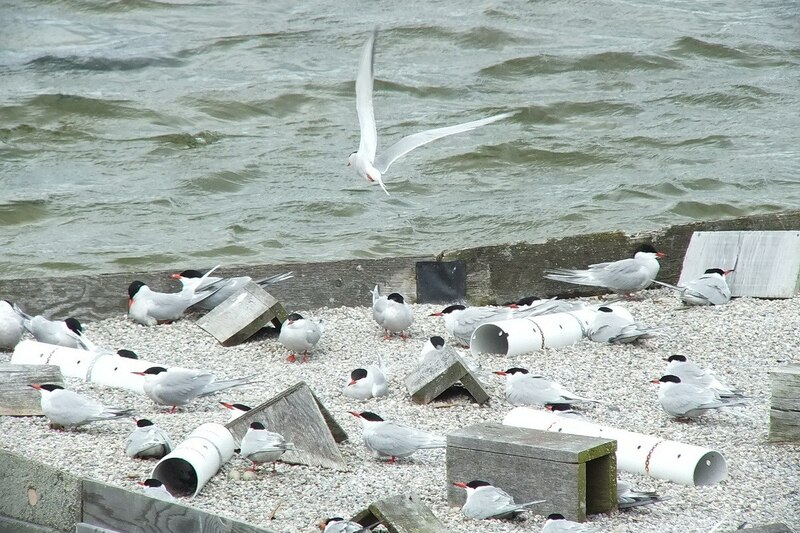 A nesting raft has been positioned in a sheltered bay to serve as an appropriate nesting site for the Common Terns. These birds usually select open edges of sandy and gravelly beaches or flat areas on islands near edges of sparse low vegetation. The nesting platform has been designed to simulate those conditions. 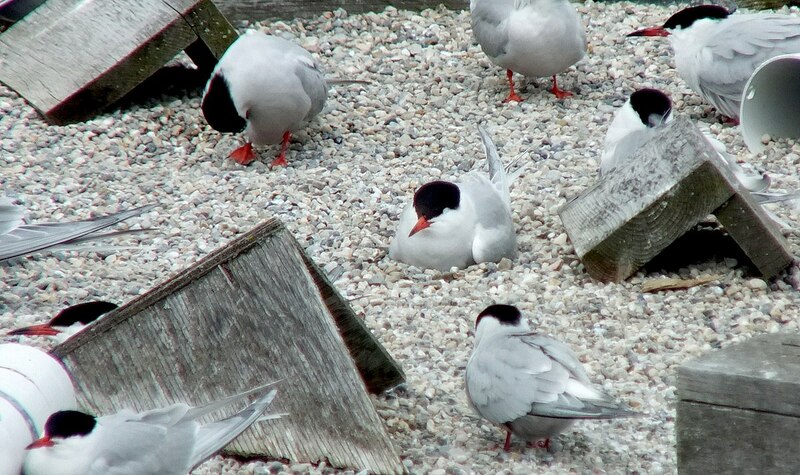 When nesting, Common Terns keep together in colonies as we see on this nesting raft. There were at least 40 of the birds on and about the area of the raft. Common Terns are agile flyers capable of rapid turns and swoops, hovering and vertical takeoff. We certainly saw a lot of that action the day we visited the Park. 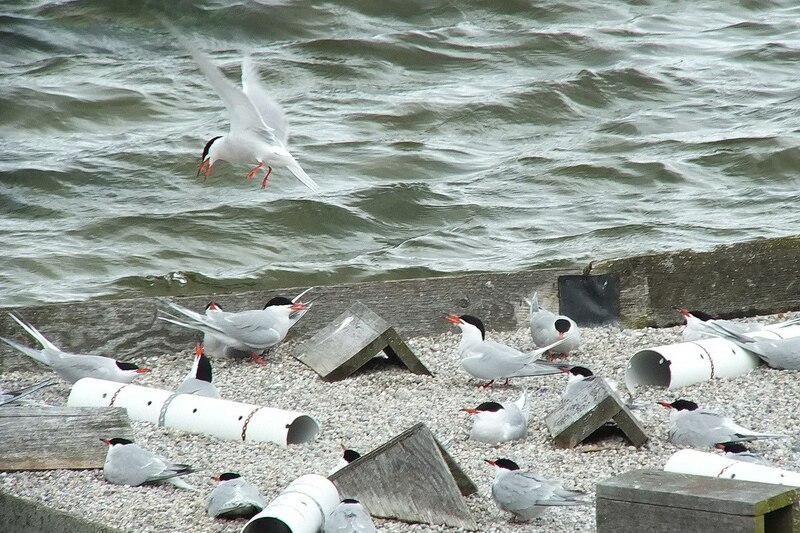 As we looked on, the Common Terns were very active. At any given time, a number of them were either flying off in search of food or returning with a fresh catch. Like most terns, this species feeds by plunge-diving for fish, but mollusks, crustaceans and other invertebrate prey also form part of the diet. 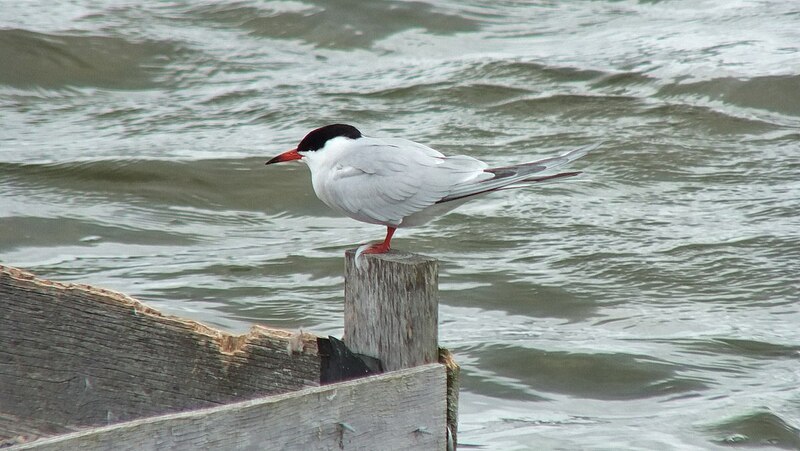 In this case, a tern returned with a catch of fish and garnered much attention when it landed back on the platform. A real ruckus ensued. 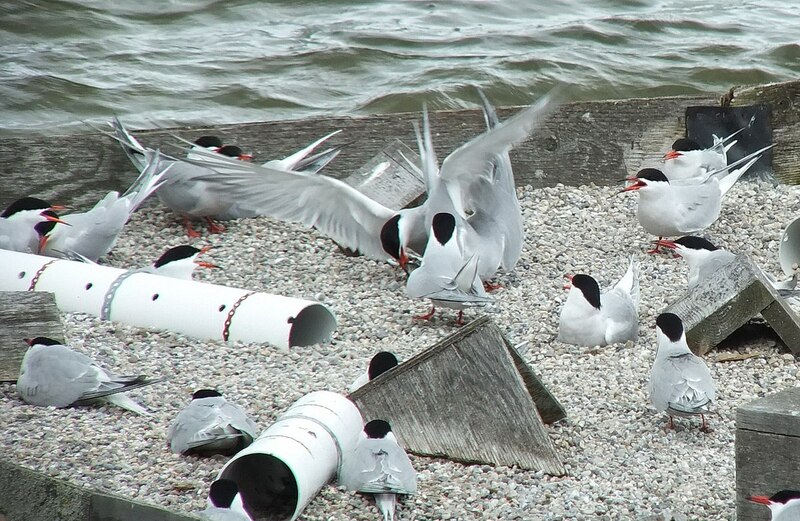 Repeated attempts by other terns to seize control of the food resulted in much wing flapping and vocal complaints as small skirmishes broke out amongst members of the colony. Common Terns are medium-sized terns with a long forked tail. During breeding season, adults have pearl grey wings, a black cap and nape, orangey-red legs, and a narrow pointed bill that is red with a black tip. This streamlined, elegant waterbird is the most widespread tern in North America. Common Terns simply make a shallow depression in sand, gravel or rock for their nests, and line them with grass, twigs, pebbles or bits of shell. As with many bird species, the same site is used one year after another, with a record of one pair returning for 17 successive breeding seasons. That is remarkable! 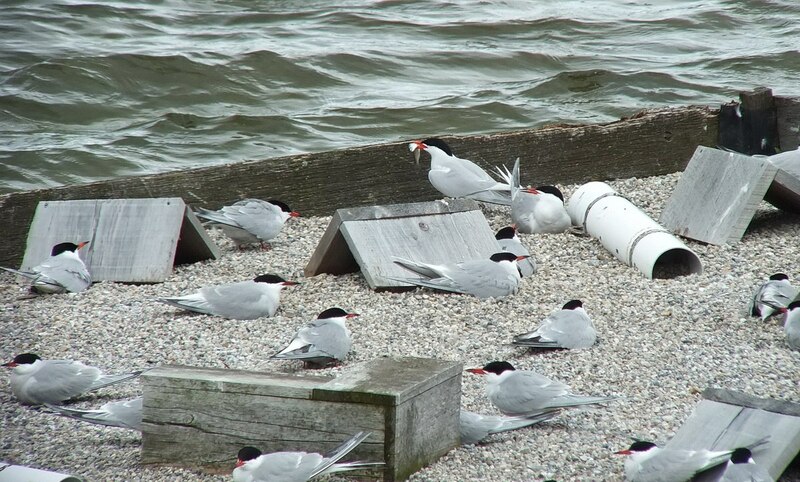 Because Common Terns nest on islands or nesting platforms, their primary predators are other birds such as owls, gulls and even Night Herons. This colony had better be on high alert given the huge colony of Black-crowned Night Herons a little further along the peninsula. On land, foxes, minks, and rats pose the largest risk to the eggs and newly-hatched chicks. 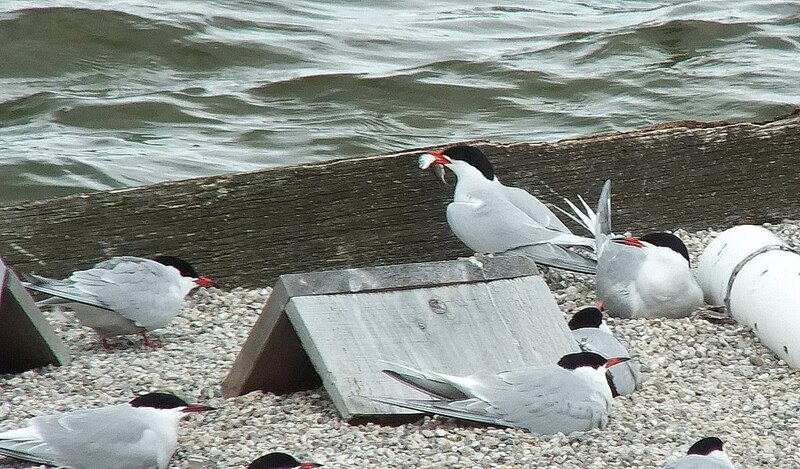 Despite its location there in the shadow of Canada’s largest city, the colony of Common Terns has an ideal location for nesting and raising their chicks. The population of Common Terns has decreased by 70 percent over the past 40 years in North America, due to habitat loss and intrusive humans. 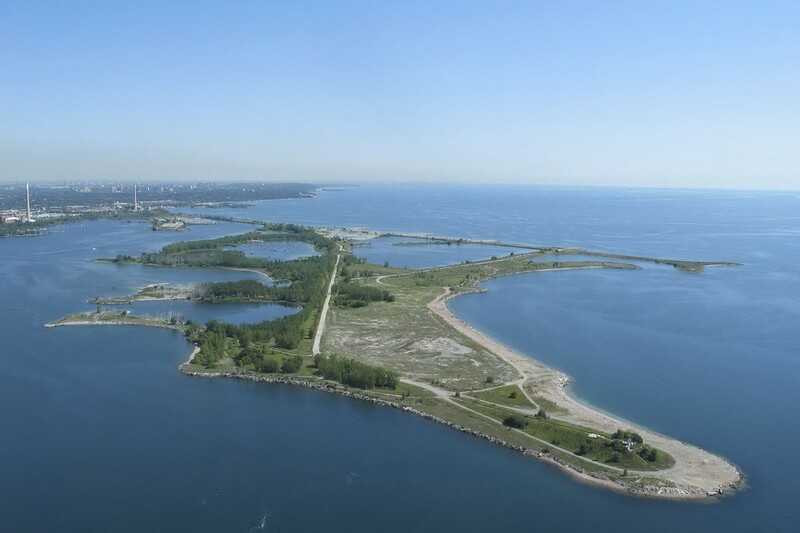 It is through the provision of artificial nest sites and protected areas such as in Tommy Thompson Park that success rates for breeding pairs have been improved. We can all be thankful for that.